I'm on a blueberry mood just now. As I told in my previous post (baked blueberry cheesecake with a sour cream jelly topping, remember) we're having a very good year of blueberries and bilberries in Estonia just now, so the amount of blueberry dishes that are being cooked and baked in Nami-Nami kitchen just now is quite considerable (take note of these yeast rolls with blueberry, vanilla and curd cheese filling, for instance). And the season is not even over yet, although other lovely berries - tart lingonberries/cowberries, for instance, are ripening quickly. 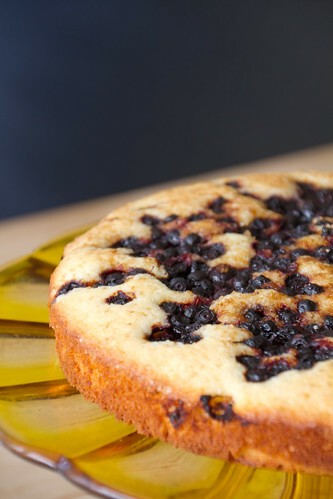 This simple coconut and blueberry cake was featured on our table twice during last week alone. Simple, quick, tasty, and has already received positive feedback from my Estonian readers, so it comes with good recommendations. 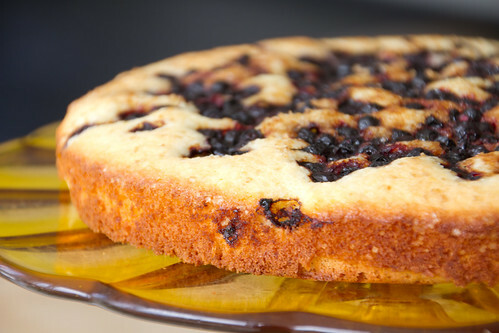 Because of its simplicity, I'd describe it as rather a midweek cake and not a fancy weekend affair. Adapted from the Swedish food magazine Allt om Mat. Butter and line the base of a 24 cm springform tin with parchment paper. Mix the dry ingredients (flour, coconut flakes, baking powder, salt) in a medium bowl. Whisk the eggs and sugar in your mixer until light, thick and fluffy. Gently stir in the melted butter and the dry ingredients, then season with lemon juice and zest. Pour the batter into the cake tin. 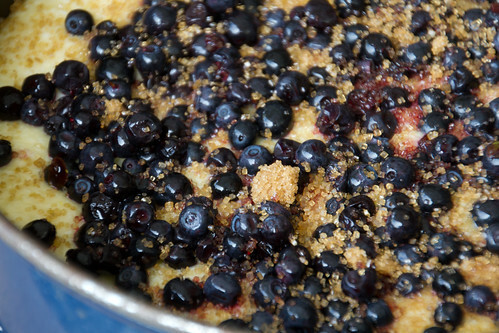 Scatter the blueberries on top, sprinkle with demerara sugar. Bake in the middle of a preheated 175 C/350 F oven for 30 minutes, until the cake is fully cooked and light golden on top. Cool a little, then cut into slices and serve. I like blueberries too and coconut is great with blueberries! 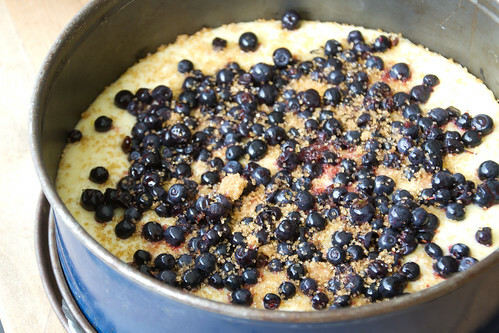 It's blueberry season, definitely have to give this a try.